Your opinion matters. Leave your review of SERVE Shelter. Description: The office is open from Monday - Friday, 9 a.m. - 5 p.m.
92 bed emergency shelter for families and individuals. Every client who stays at the shelter receives comprehensive case management designed to address the underlying causes of homelessness. Call 571-748-2603 for hours Food Pantry available. Part of the Northern Virginia Family Service. The Intake Coordinator returns all calls within 24 hours on business days. I need a place to stay. Is there room? 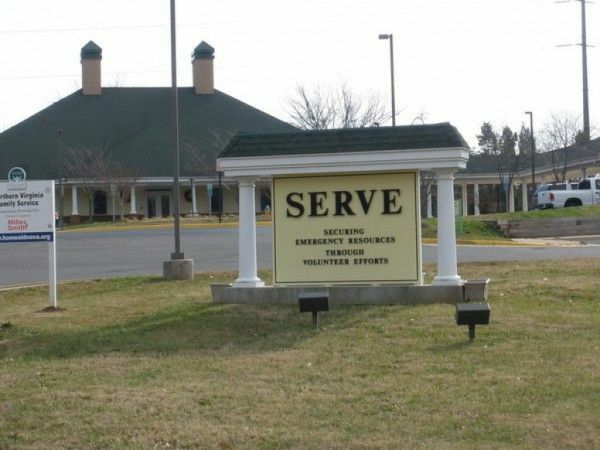 Please call our Intake Coordinator for SERVE Family Shelter in Manassas at 571.748.2603. All calls will be answered within 24 hours on business days. I need help paying for rent or utilities. Who do I call? Please leave a message. The Intake Coordinator returns all calls within 24 hours on business days. Is there emergency food assistance? Volunteers Requests by SERVE Shelter: Because it takes an investment of time and resources for volunteers to be successful, so we invest in our volunteers, our volunteer program, and our volunteer management staff. We welcome students who must complete service hours for school. Download the Volunteer application and Reference form and then contact Volunteer Coordinator. Do you have items to donate? Contact SERVE Shelter at the phone number provided above to see if they can use any items you may have to donate.